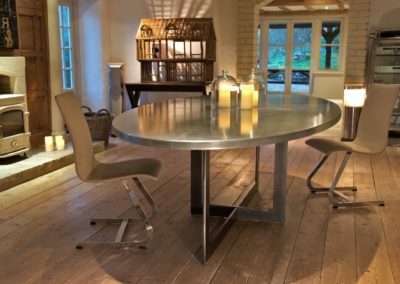 A dining table, oval in shape, is an elegant and versatile alternative to more traditional rectangular or circular tables. 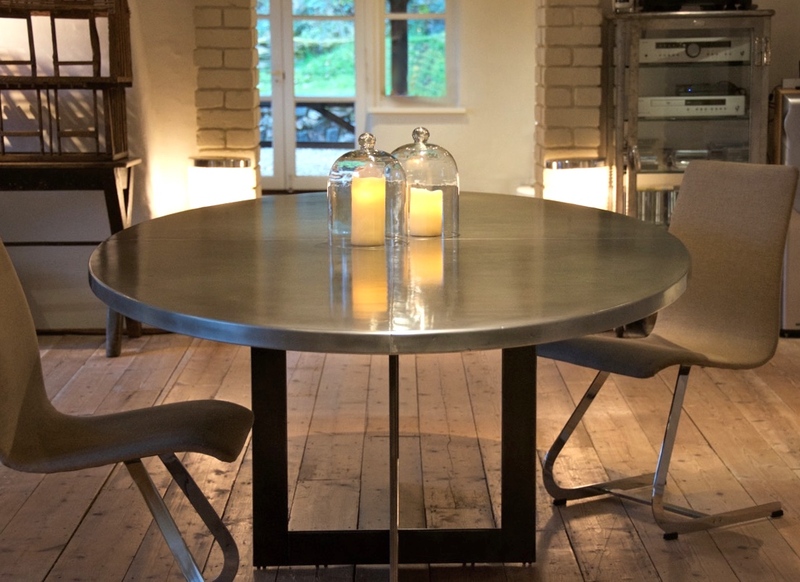 Not only is the shape pleasing on the eye, it is also more economical when it comes to space. 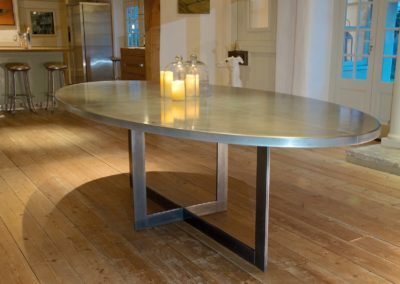 An oval table can still offer the same number of places, as its more standard cousins, but an oval table can do this in a more stream-lined fashion and of course if a room is tight on space, this can be a great choice. 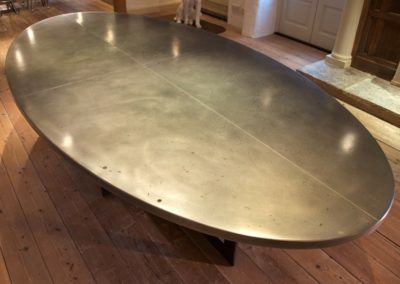 Oval was indeed ‘the order of the day’ for one such family, who’s space and preferences directed them towards such a table. 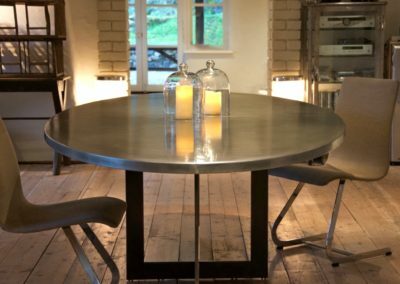 We took great care to ensure the table was produced to the best possible size, ensuring that the space available was maximised, whilst proportioning the table to look as elegant and contemporary as both the clients and our team were aiming for. 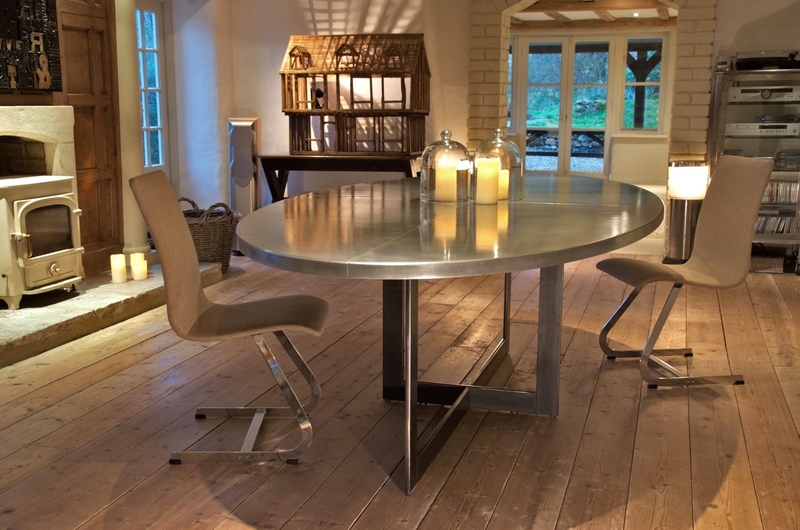 Produced from zinc sheet and steel (amongst other materials) and above all a lot of love! 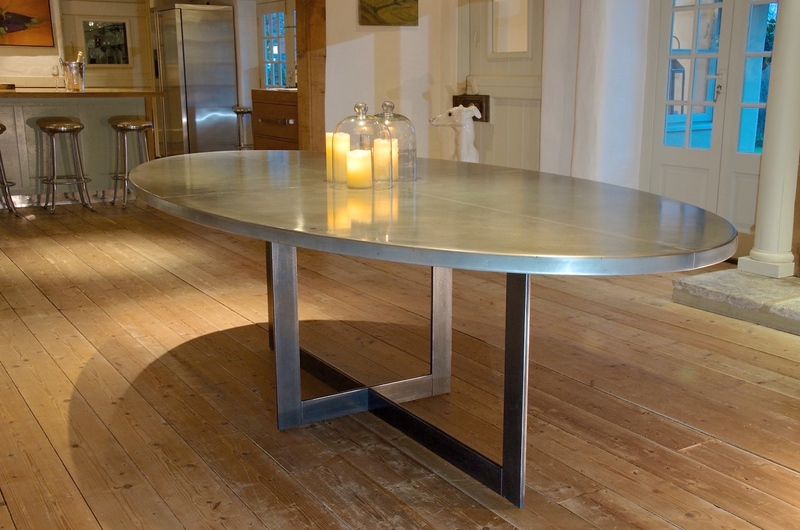 This oval table was welcomed into its new life with open arms! 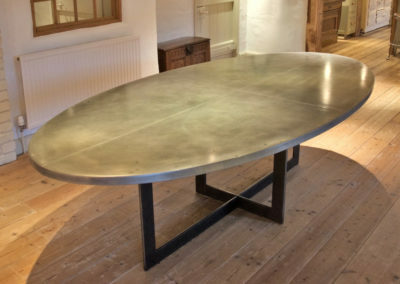 Needless to say, everyone was delighted with the outcome and this Andrew Nebbett Designs’ oval zinc table is playing its new part in making happy memories for its new owners. 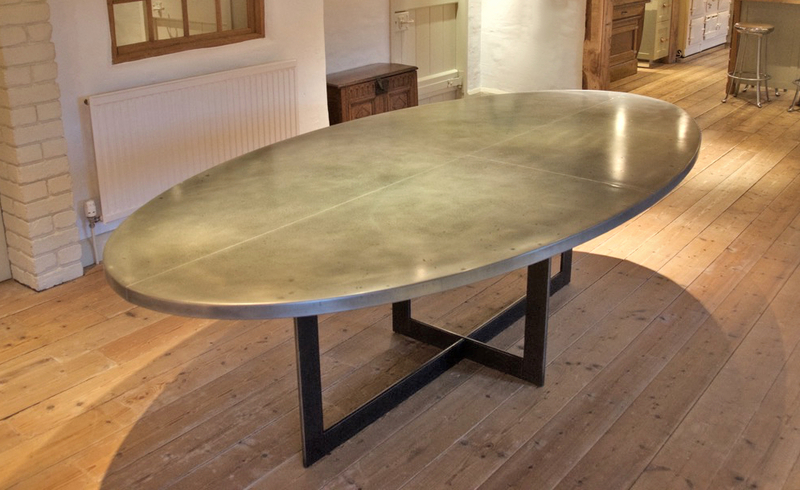 To discuss your new oval table, please just ‘drop us a line‘!